We would like to take this opportunity to welcome you to our practice website. Our goal at the practice is to provide the highest standards of dental care at all times, and in a manner tailored to meet your specific needs and wishes. All efforts will be made to make your visits with us as pleasant and memorable as possible. Our goal is to provide you with the most comprehensive dental care, giving special attention to every individual's specific needs, in the most comfortable and pain free environment. Utilizing the most advanced materials and equipment, with just the right touch of art and science, we will present you with quality personalized dental care. We guarantee that we will do everything in our power to improve your oral health in your best interest. We will do whatever we can within reason to make our patients happy and satisfied. We make sure we visit this practice every time we are over from France, this is usually once or twice a year. 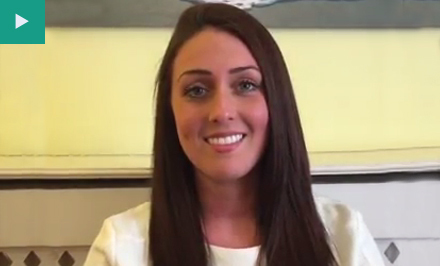 Normally I have been seen by Mathew but on the last trip I was attended to by Costin, I could not praise him high enough, he was patient and extremely professional, his injections were as painless as the 2 removed and replaced fillings that were sorted. 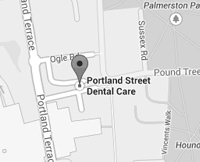 Looking forward to my next trip, well done to the Portland Street Dental Care team. Very friendly and professional dentist. would recommend 100% without hesitation. This is a fantastically friendly practice - you're treated like a human being instead of just being another patient. It makes such a difference to have a dentist communicate with you easily and openly, and the standard of care is high. I never thought I'd recommend a dentist, but I'm recommending this one! Gentle dentistry - what a fabulous practice. I used to be truly afraid of going to the dentist. Matthew Jones and now Costin Banescu have totally eradicated my former view and previous experience of sitting in the dentist's chair. They have the expertise, professionalism, compassion and sensitivity to change what was something I used to dread into a very positive experience. Thank you Matthew and Costin for such fantastic care. Copyright © Portland Street Dental Care. All rights reserved.